NEW CV CLUB MEMBER TASTING FORMAT…STARTS TONIGHT! 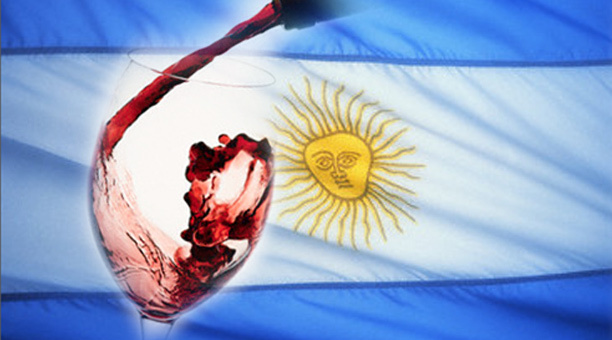 In early January, Carpe Vino introduced a new member-only program called, “2nd Saturday Tasting & Pick-Up.” While members picked up their wine club shipments, they had the opportunity to taste FIVE different wines from Argentina. To top it off, we had a huge spread of cheese/meats and passed appetizers and the best part…it’s all included in your membership! How can it get better you ask? Starting tonight, along with Wednesday & Thursday nights (4-8PM, CV Club Members can enjoy a 3oz flight (1oz of 3 wines) as they enjoy appetizers or dinner in the CV bar or dining room! That’s right…any Tuesday, Wednesday or Thursday night from 4-8PM CV members can try the TOP 3 selling wines from the previous months “2nd Saturday Tasting & Pick-UP!” We’ve even created a tasting placemat with all the pertinent information regarding each wine. Discounted pricing will be available on purchases of 6+ bottles too!!! Tasting wine is what the Carpe Vino Wine Club is all about and this year we upping the ante. Starting tomorrow and every 2nd SATURDAY OF THE MONTH, Carpe Vino will host a WINE CLUB MEMBER TASTING & PICK-UP from 2-4PM. These Saturday tastings are exclusively for CV Wine Club Members* and will showcase a different selection of wines for you to taste before you buy! As you read above, last month we had huge success introducing some new Argentinian wines to the Carpe Vino Club Members. This Saturday, February 9th, we will be exploring the “Oceania Region” AKA New Zealand & Australia. We know someone will let us know that Oceania comprises of Melanesia, Micronesia and Polynesia, but we needed to spice this up a bit so “OCEANIA” it will be Saturday! We will once again be tasting FIVE DIFFERENT WINES, a full list to be revealed Thursday, but it will include; Sauvignon Blanc, Vermentino, Cabernet Sauvignon and Shiraz! All wines will be available at significant discounts (Saturday only) when purchasing a six-pack or more (mix/match). The Carpe Vino kitchen will be preparing a selection of “BITES” (both stationary and passed) to accompany these delicious wines! If you were here for January’s “2nd Saturday Tasting,” you know the cheese alone is worth the trip! DON’T FORGET TO PICK-UP YOUR WINE CLUB!!! For your convenience, there will be easy accessibility for you to pick-up your monthly wine club the day of the event. Even if you can’t stay to taste, feel free to swing in and grab your vino! *CV WINE CLUB MEMBERS (2 per people membership). If sole member or membership, allowed one guest. Mark Your Calendars Now For Future WC Member Events!